In This Scene: Erik Bidenkap, getting some sun and looking fantastic. 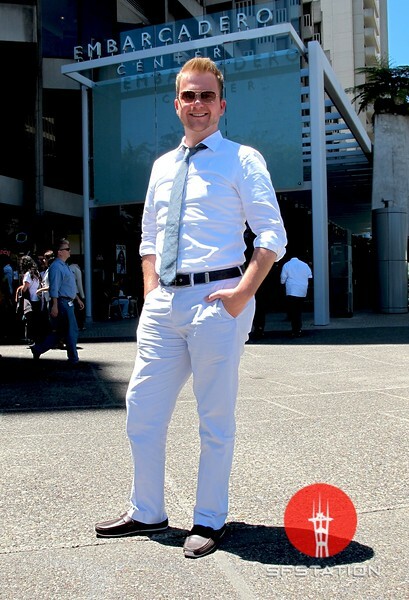 Bidenkap is wearing light blue linen pants from J Crew, a crisp white shirt from Hugo Boss, chambray tie from Banana Republic, and sunglasses by Burberry. With weather like this, you really can't be afraid to wear light colors.